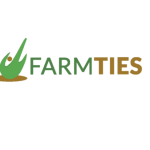 Dahrah Global Limited through our brand FARMTIES, leverages on Technology in bridging the gap between demand and supply in the agricultural value chain by linking the farms to agrifood processors, local and international markets. We are into commodity trading, market linkage, and postharvest technologies. The global processes of exploration, extraction, refining, transporting (often by oil tankers and pipelines), and marketing of petroleum products. Autogas is the leading alternative fuel and the world’s third most common vehicle fuel after gasoline and diesel. Creating a sustainable environment and going green. Energy, especially from fossil fuels, is a key ingredient for all sectors of a modern economy and plays a fundamental role in improving the quality of life in less developed economies. To develop a commercial model for biomass distributed electricity generation based on an assessment of development needs. Thanks for taking the time to contact us! We do our best to respond quickly.